Ratanda Primary School, a no-fee school in Heidelberg, Gauteng, caters for 1 362 learners from grades R to 7. 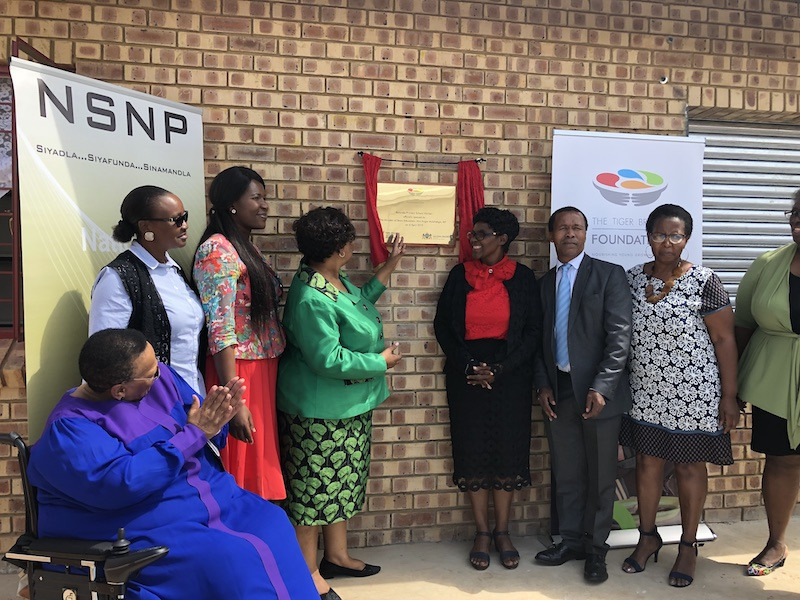 For nearly two decades the school, beneficiaries of the National School Nutrition Programme (NSNP), has made use of an old tuckshop as a kitchen to prepare meals for learners. “We are really excited to get a better equipped kitchen that’s more spacious than the room we’ve been using for the past 16 years,” says Sibongile Mofokeng, acting principal at Ratanda. The passionate educator believes that teamwork and commitment are what allows the school to run well. The school is exceptionally clean despite its enormous size, socio-economic landscape and geographical location, which exemplifies a sense of pride in the environment by both educators and learners. It is these very qualities that allowed them the opportunity to be chosen as winners of the NSNP Best School Award in the previous financial year, the prize of which was the kitchen, sponsored by the Foundation. The award, a partnership between the Department and the Foundation since 2011, recognises excellence and best practices in schools by donating to and awarding the best school with a kitchen fitted with industrial equipment among other prizes. Winning schools have to implement the NSNP as per the minimum guidelines to qualify for entry into the competition. Entry is done by the school, the district or community members who nominate the best school in their area. This award celebrates the dedication and hard work of the value chain necessary for the daily success of the NSNP. Over and above the NSNP, Ratanda is also a beneficiary of the Tiger Brands Foundation’s in-school breakfast programme. While the NSNP provides lunch to learners, the Foundation offers a healthy, nutritious breakfast every school day to thousands of learners at disadvantaged schools across South Africa. The new Ratanda facility, described as “state-of-the-art” by Mofokeng cost R500 000. The bigger structure is fully equipped with utensils and furniture. Furthermore, it provides for a safer, cleaner environment and a store room for proper storage of food. Minister of Basic Education Angie Motshekga says the department takes the overall wellbeing of learners very seriously, and knows that the importance of support in this regard is reflected in teaching and learning outcomes. “This is an approach with seeks to address the multiple barriers to learning while protecting learners as they grow, and their immune system is still developing. Therefore, we continue to invest in providing nutritious meals to ensure learners’ wellbeing. We further encourage proper food handling practices to minimise the risk and possible non-communicable diseases,” she says in relation to the new kitchen at Ratanda. Agreeing, Sisulu says, “Quality meals should be prepared in an environment that enables and supports this undertaking. The kitchen is not about the in-school breakfast programme the Foundation offers at this school, but about the way meals are being prepared and the importance of good quality food handling practices”.